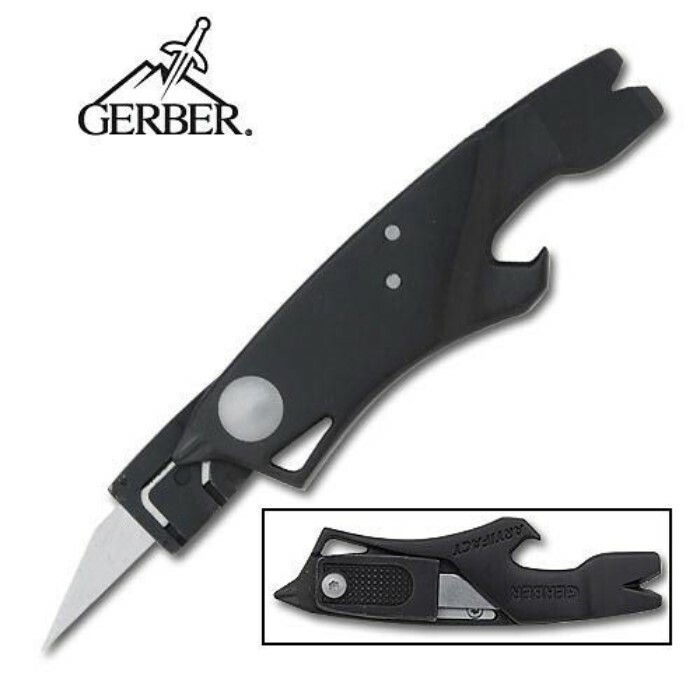 Gerber Artifact Multi Tool | BUDK.com - Knives & Swords At The Lowest Prices! The Gerber Artifact Multi Tool is a lightweight pocket size tool that is the perfect companion when you just want the basics. The Artifact features an exchangeable/removable #11 hobby blade, cross driver, small and medium flat drivers, wire stripper, pry bar/paint can opener. Includes blade holder, and lanyard/keychain attachment hole.